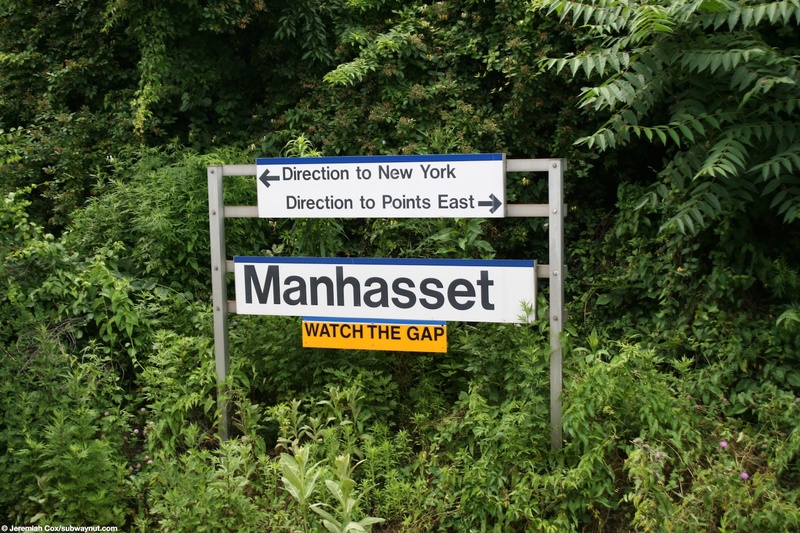 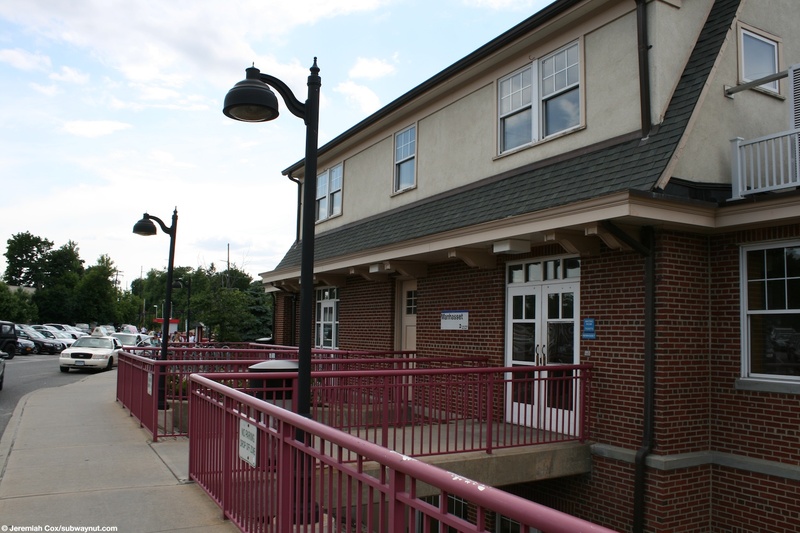 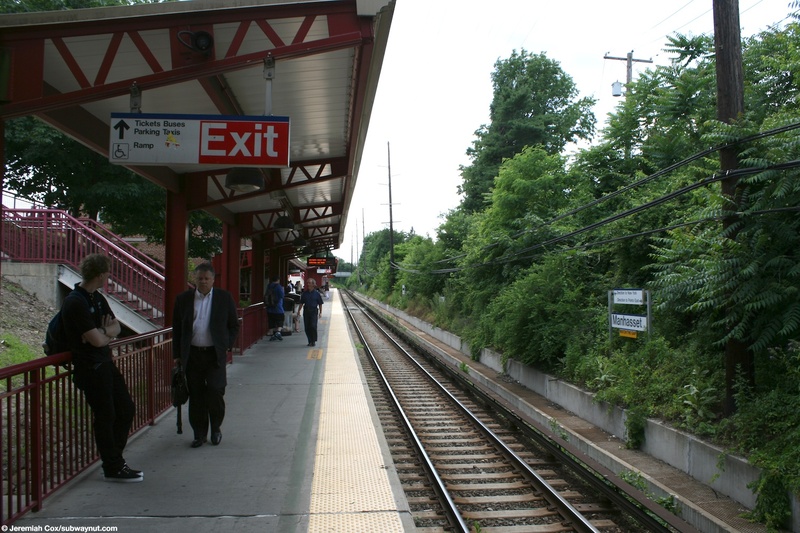 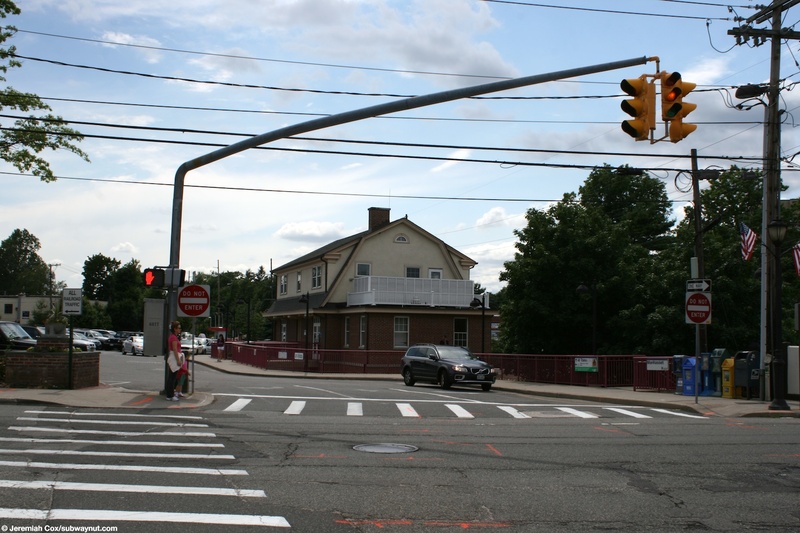 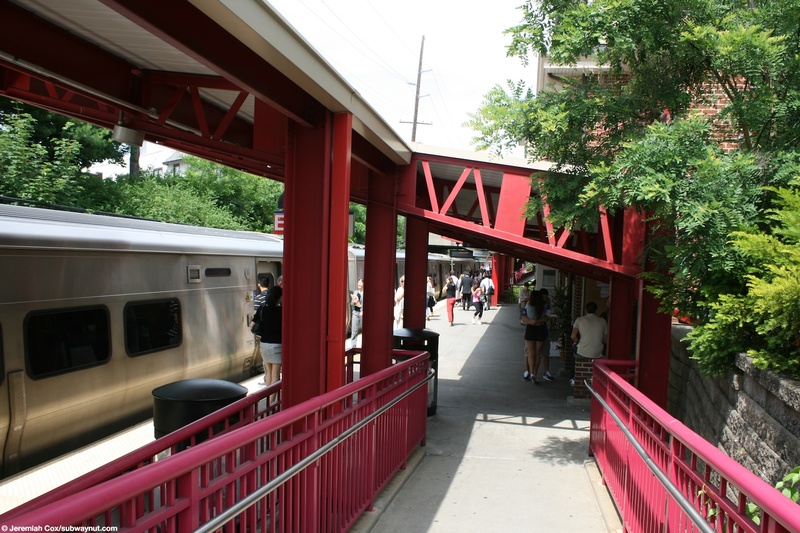 Manhasset is a station on the single tracked portion of the Port Washington Branch meaning it has just one platform located in an open cut that can fit up to ten cars. 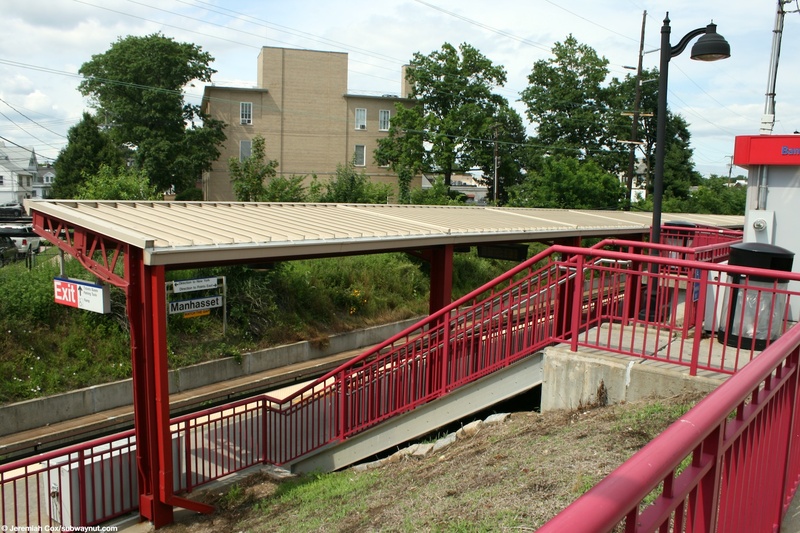 The platforms many entrances and exits and undercrossing of busy Plandome Road in the middle of the station makes it used by the community not just to board trains but also as a neighborhood shortcut. 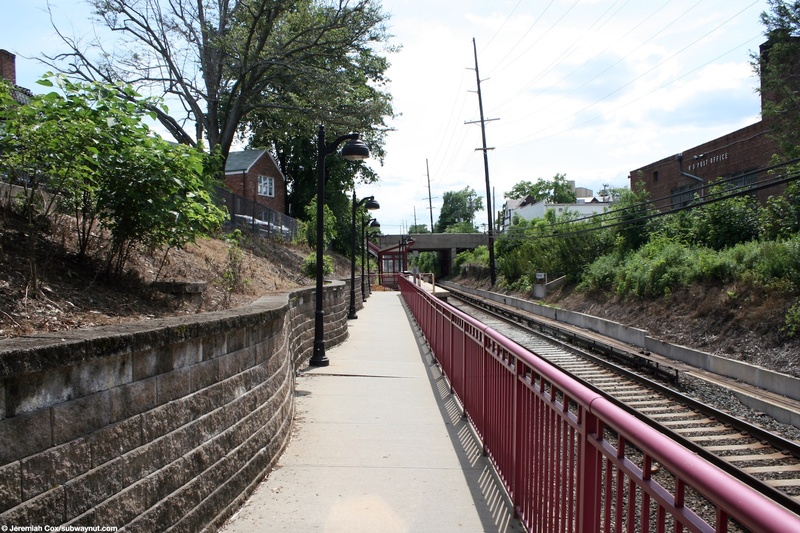 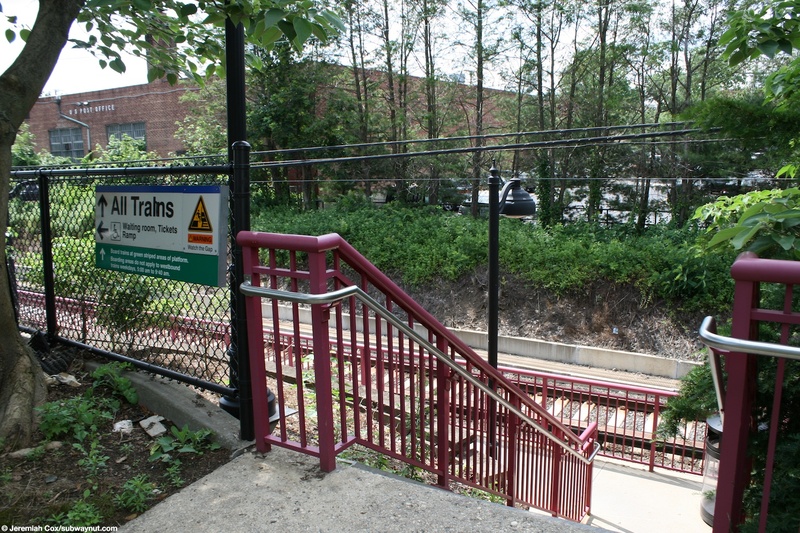 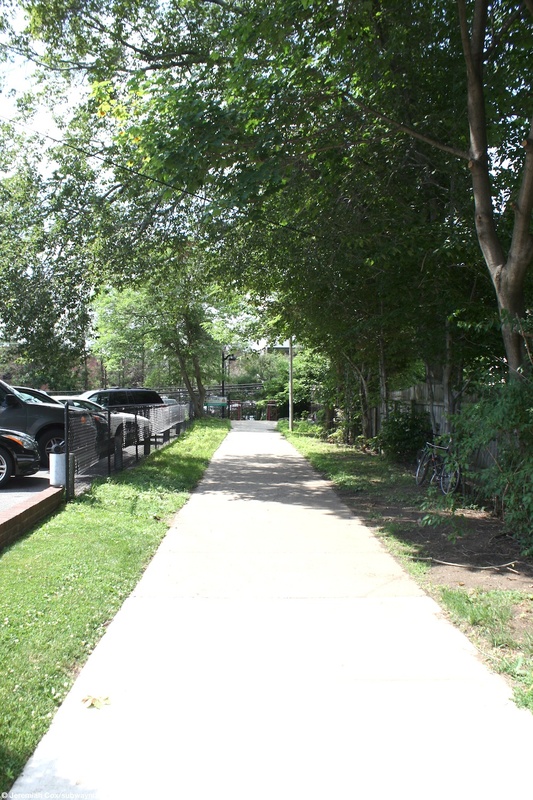 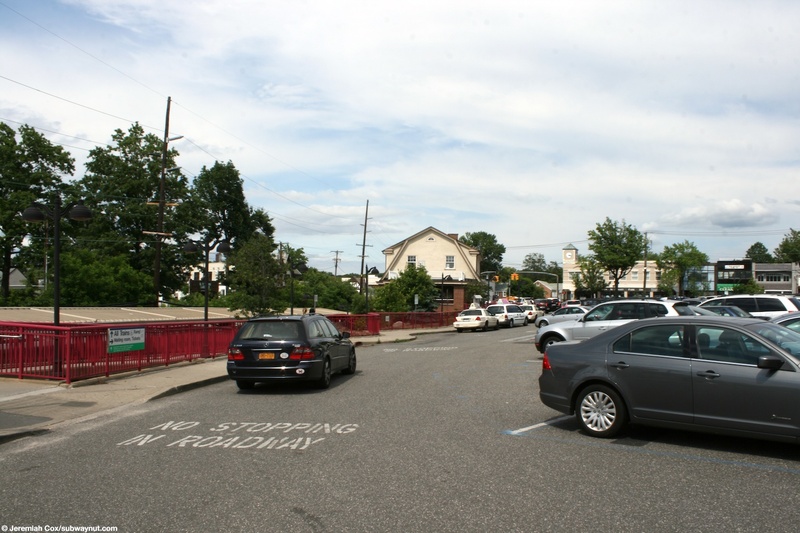 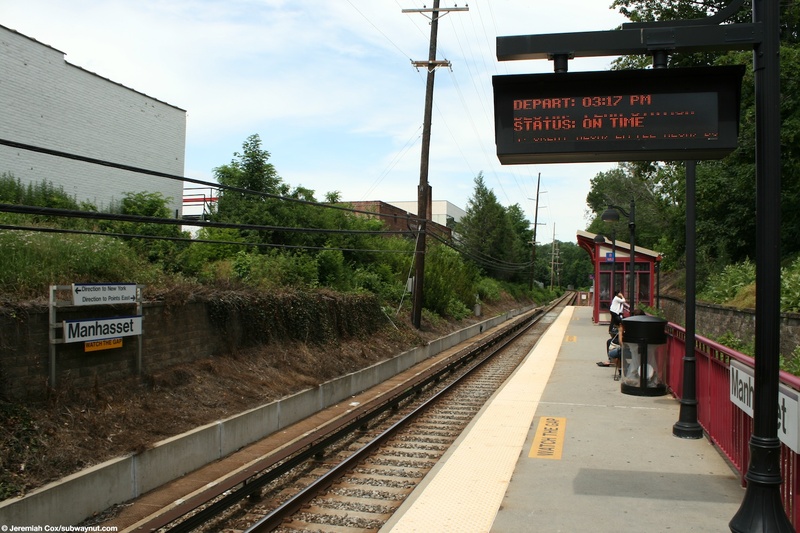 The platform tour starts from its western end where a pathway leads off of Nassau Avenue (just after its fork from Park Avenue) between parking lots and houses to a staircase down to track level. 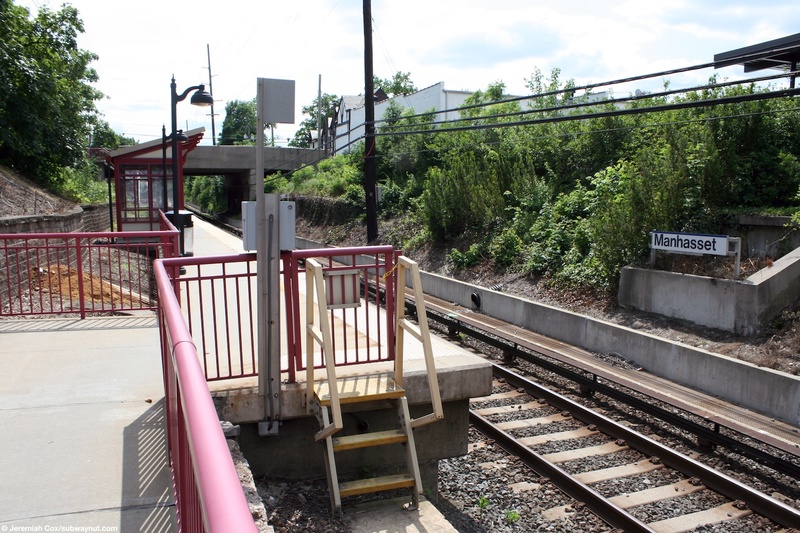 From here a walkway leads for about two car lengths to the western end of the platform. 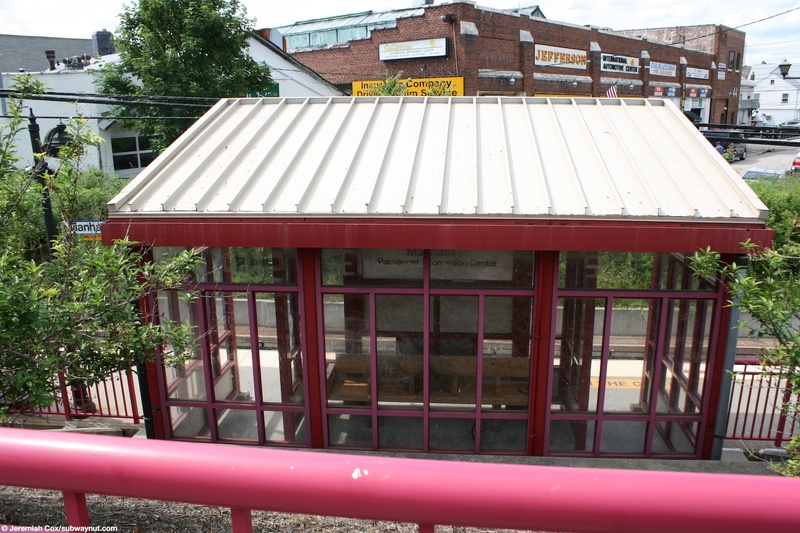 There is than a pink and cream painted modern shelter structure (the platforms railings are all this pink color) before a staircase up to the eastern side of Plandome Roads overpass. 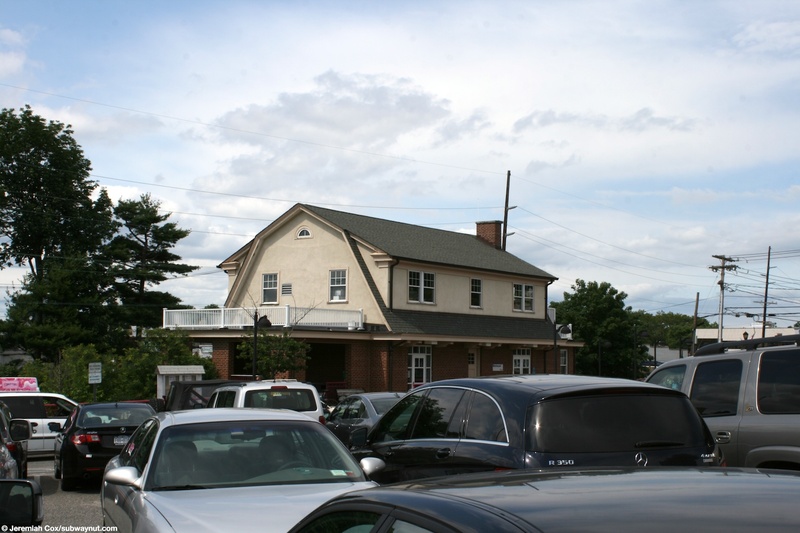 Next on the eastside of Plandome Road is the stations parking lot, which is a bit offset by a grassy hill from the platform and its three story station house, allowing the bottom story at platform level to have windows out to this hillside. 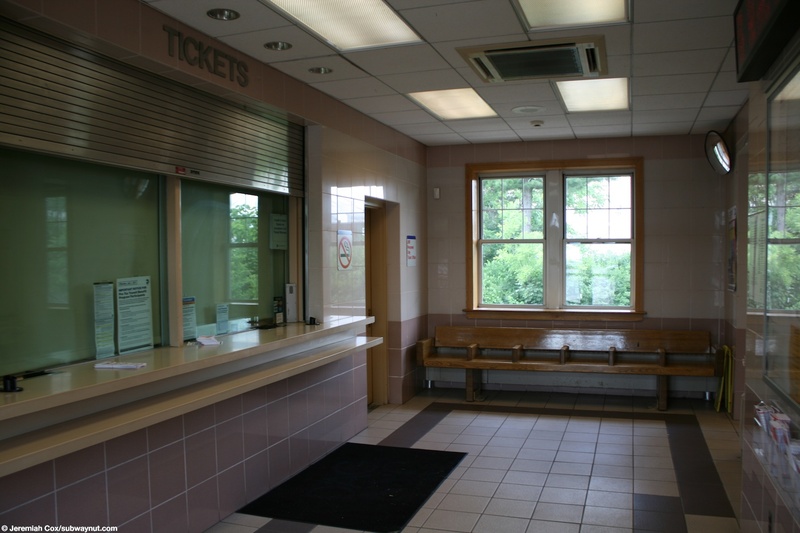 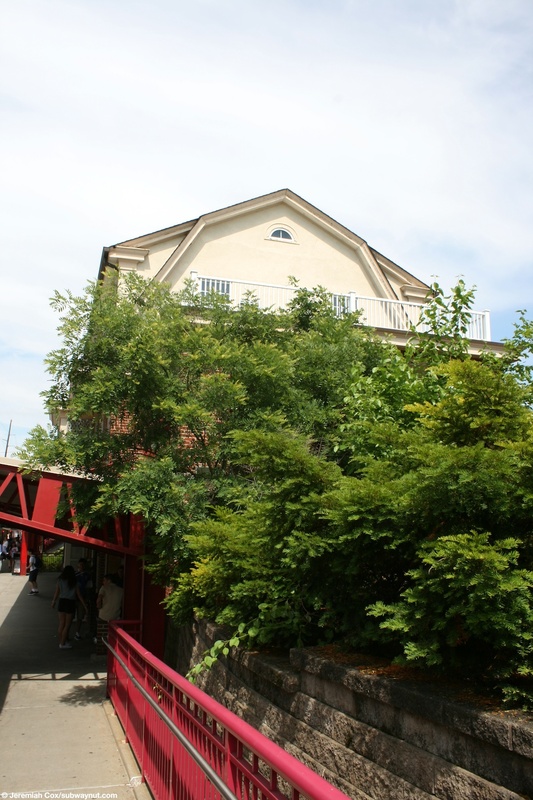 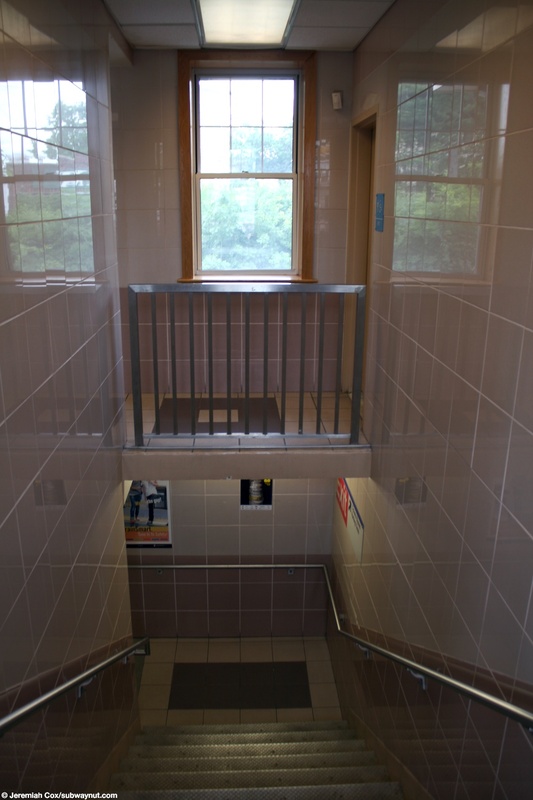 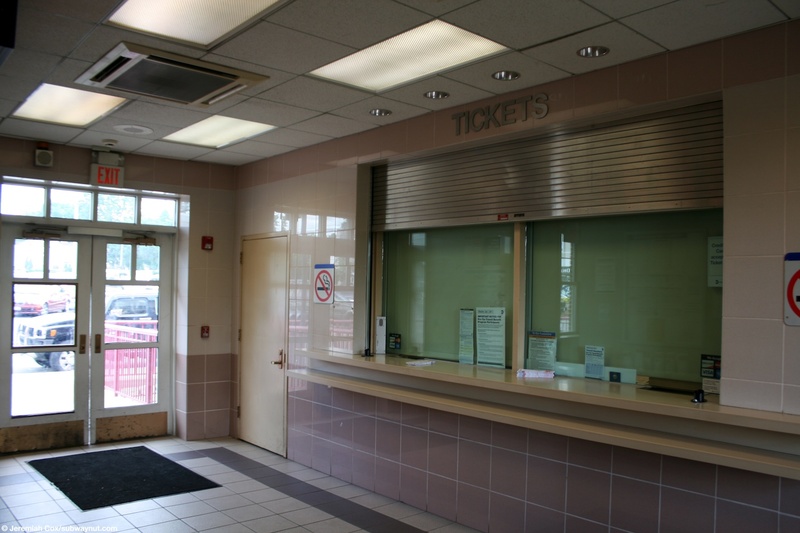 The public portions of this station house (open from 4:45am to 9pm) are quite unusual; a bridge leads off from the parking to an entrance at the second level where restrooms, the ticket office is (open one AM shift from 6:10am to 1:45pm) and an interior staircase leads down to the level of the platform, where there is a second waiting room with benches and a newsstand directly inside the station house. 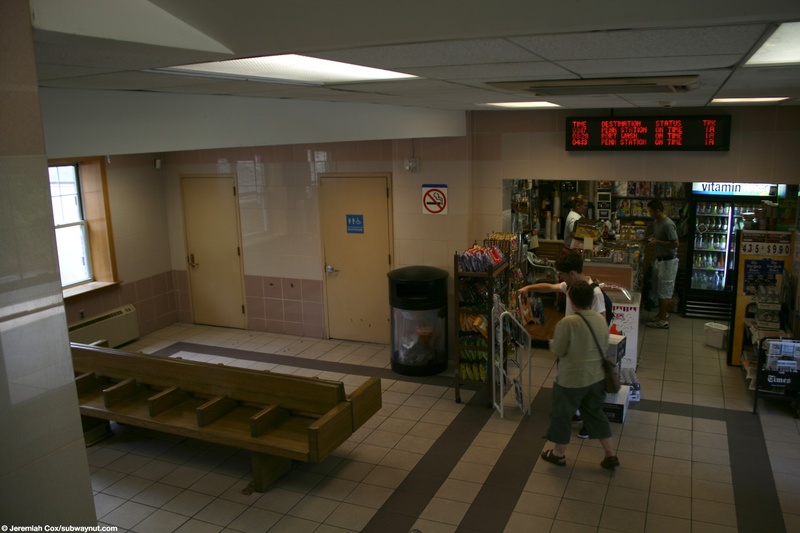 Doors than lead out to the canopied platform, there is also a florist set into the side of the station house whose only entrance is from the platform. 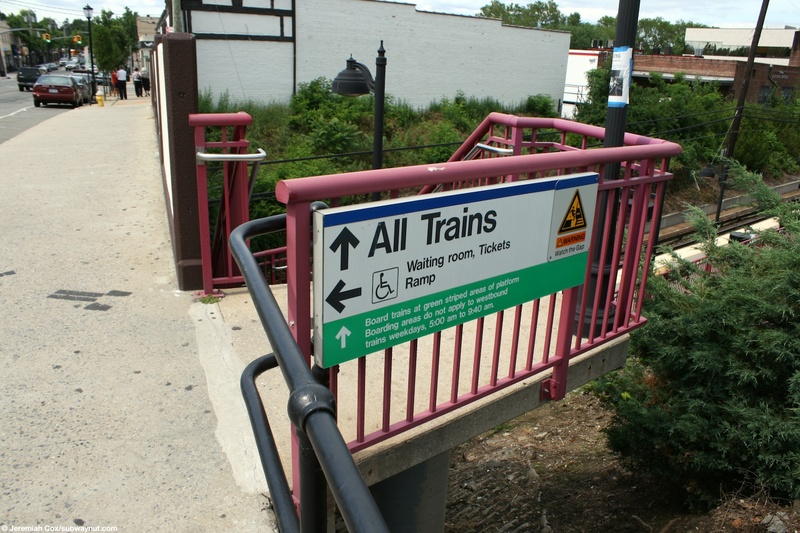 A ramp is provided for ADA access along with a few other staircases up to the parking lot and the platform ends beneath it.